All our professionals at Dental Smiles maintain the highest levels of accreditation and pursue ongoing education to stay ahead of the latest trends in dentistry. 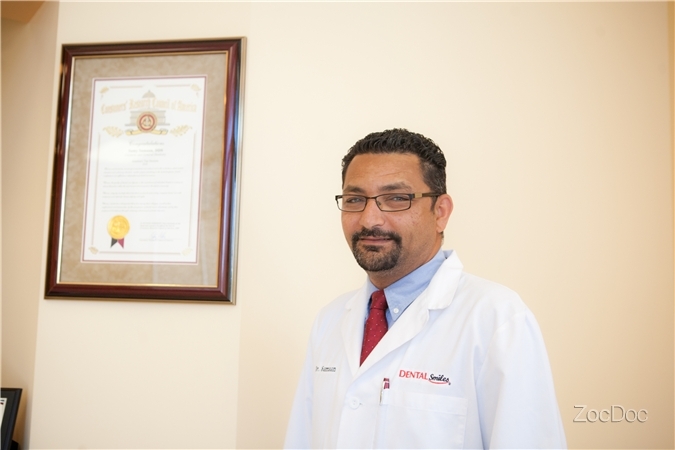 Dr Samaan graduated from New York University where he obtained his DDS degree. While in school, he took 2 month honor program where he was trained at Lincolin Hospital in New York. Dr Samaan finished the Maxicourse for Dental implant in 2003. Dr Samaan strongly believes that excellence in dentistry is more than just clinical skills. He feels mutual trust and open communication are very important factors for success in treating each individual. This trust and spirit of cooperation should supercede all other factors . Dr Samaan graduated from New York University where he obtained his DDS degree. While in school, he took 2 month honor program where he got trained at Lincolin Hospital in New York.